Sitcoms live and die on their characters. Sometimes this can be one iconic character who stands-out among the rest and eventually takes the whole show themselves (if they are supposed to or not) while other times it may be that the whole ensemble work well together. The medical series is about Zach Braff’s JD but from the very first episode the funniest scenes are in the sometimes far too-close relationship between himself and Donald Faison’s Turk. From fancy dress, shared jokes and the battle-cry of “Eagle” as JD jumps on Turk’s back, this is a friendship to be jealous of. You won’t be as jealous of JD and Turk as you are of Matthew Perry’s Chandler and Matt Le Blanc’s Joey in Friends. The flatmates are the real love story of the ten season sitcom and some of the biggest heartbreaking moments of the show are when their relationship breaks down. 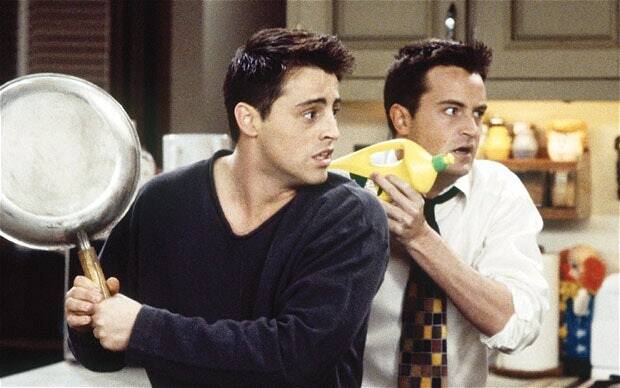 When Joey moves out for three episodes was worse than when Rachel and Ross split-up! 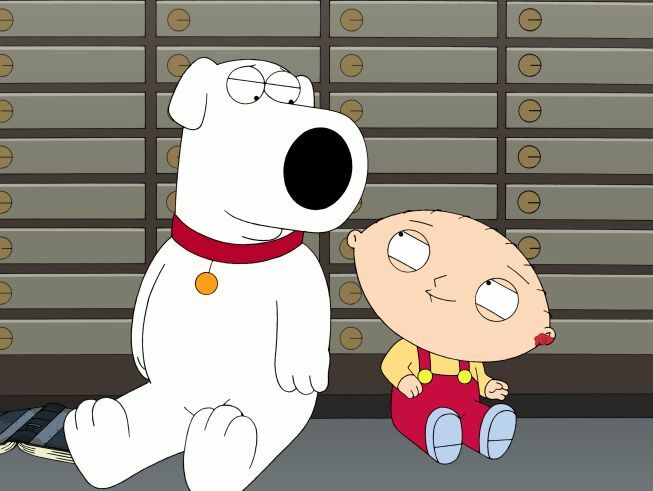 The Family Guy pair have a unique relationship on the show as Brian seems to be the only character who can hear Stewie speak and completely understand the pint sized-psychopath. Some of the best episodes are when Stewie and Brian are on road trips and some of the most iconic jokes come from their mutual disdain interactions (cool Wwwwhip). 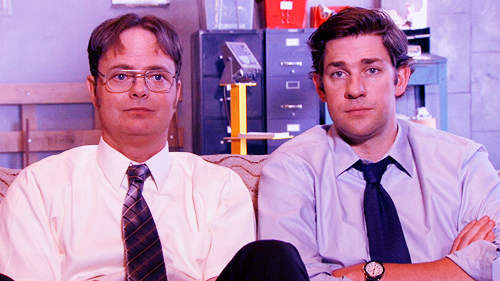 Brian and Stewie may have a mutual respect but in the beginning of The American Office, John Krasinski’s Jim and Rainn Wilson’s Dwight hated each other. 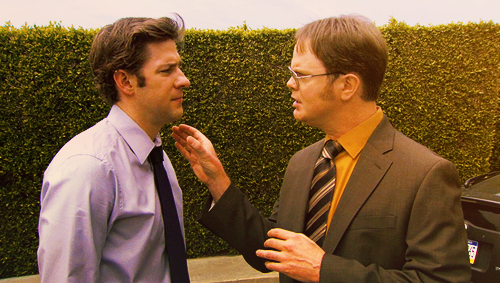 The love story between Jim and Pam was the central story-arc but the pranks between Jim and Dwight kept the humour coming. Always funny, even if just part of the opening segment, and by the end there seemed to be a genuine friendship there too. For many teenagers this was their sitcom and no two better exemplified odd couple than the ultra cool Will Smith and his geeky cousin Carlton played by Alfonso Ribeiro. In the early seasons they played the contrast brilliantly but as the show progressed their relationship got closer. If an episode paired them though, it could be some of the funniest scenes the sitcom produced. Overall, five key sitcom duos which can rival some of the best ensembles on TV. Let me know if you think there are any I should add and I may just make a part 2. There was something about Scrubs that turned me off, but I could never pinpoint what it was. Chandler and Joey are classic. It lost it’s appeal later on but I was a huge fan of Scrubs when it first debuted. You’ll struggle to match Joey and Chandler though. Maybe TV duos in general should be the next post. Then those two would definitely make the cut.